My hair had certainly taken a beating over the Winter, what with the cold weather and straightening that I subjected it to. It was dry and in need of treat, and I was determined to get it looking lovely again in time for Summer. 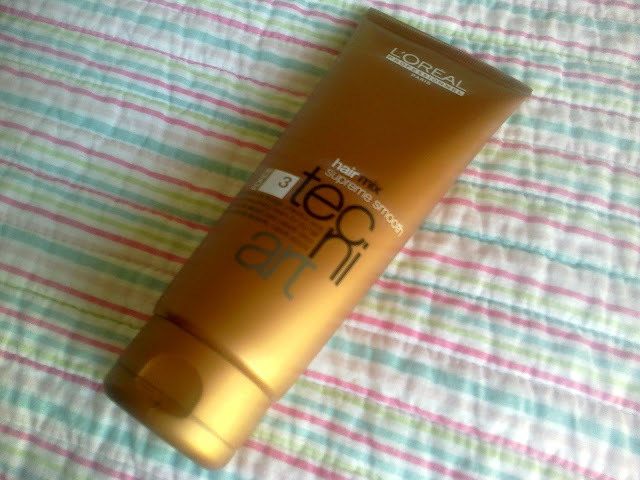 Enter L'Oreal techni.art Supreme Smooth. I was first introduced to this product after an old hairdresser used it a few years ago. My hair looked so much healthier that day so I decided to purchase it after I recently ran out of Sebastian Potion 9. To my purse's delight, the Supreme Smooth is also a good bit cheaper! This nutri-smoothing creme for dry hair is exactly what my locks needed. I find that a little product goes a long way, and smooth in a large chickpea-ish sized blob into the lengths of my hair after I've towel dried it. I then blow dry my hair as normal using a large paddle brush. It also protects against heat damage and leaves my hair feeling soft and looking shiny! I'm currently trying to grow my hair out after lusting after images of 'mermaid hair' and am trying to go as long as possible without a haircut, thankfully this product also helps to keep pesky split ends looking smooth too! 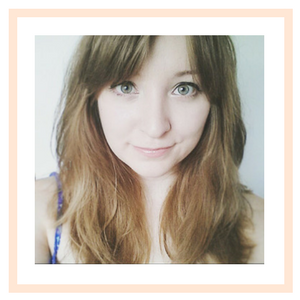 It would seem that L'Oreal Supreme Smooth can do no wrong!